For stories pertaining to the town of Brattleboro at large and its government. One of the Best Little Towns! Brattleboro has been named one of the 10 best towns in the US by Fodor’s magazine! Despite all our problems and all the complaining it’s still a pretty good place to live. Also included in the top 10 was Provincetown, Massachusetts- one of my favorite places to spend time. Amidst discussions of Brooks House tax stabilization and other business came the final thoughts and words of three Selectboard members sharing a final regular Tuesday meeting together. The two longest serving agreed that Brattleboro could use a mayor. 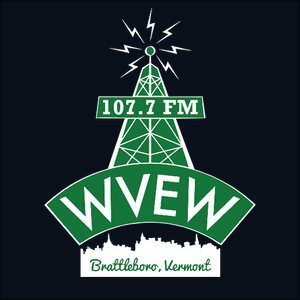 The Brooks House got their savings, Chris Chapman started a discussion about future plans for the Brattleboro’s earliest existing train station, the utility budget was approved for FY14, and many liquor licenses were approved en masse. The Robert H. Gibson River Garden, Inc. If you’re interested in saving the River Garden for public use, or even if you aren’t, please read these statements excerpted from the record of the Brattleboro Selectboard meeting of December 5, 2006 – the topic at hand was whether or not the Town should ask the State Legislature for “forgiveness” of a restriction attached to the first State grant of $150,000 used to purchase the land where the River Garden now stands, which stated that the Town or BaBB would have to pay the Legislature back those funds were the River Garden ever to be sold to a private individual or a for-profit entity. The ‘suitor’ or prospective purchaser of the property at that time was Tony Elliott’s Windham Development Group, LLC, the recent renovator of the Windham Hotel in Bellows Falls. The Brattleboro Representative Town Meeting Finance Committee will meet on Tuesday, March 19, 2013 at 4:15pm in the Hanna Cosman meeting room at the Municipal Center. Brattleboro’s historic train station is up for discussion again at the next Brattleboro Selectboard meeting. Fulcrum Arts has abandoned their plans for the space, taking the board back to planning how best to use the building. The Brooks House team is expected to ask the board for a tax stabilization agreement, the board will consider the nearly $5 million FY14 Utilities budget which includes an over-$635,000 deficit There will also be multiple grants from Homeland Security for more training and equipment, annual liquor and tobacco licenses will be renewed and more. You can watch it all on TV or attend in person at the Municipal Center on Main Street. If you do go, you can bring up other issues not on the agenda during Public Participation and speak to anything on the agenda. Curbside Compost – 500th Participant! Jon Evans, Akley Rd. resident, was the 500th person to sign up for Curbside Compost! Jon was awarded a year’s supply of GLAD compostable bags! BRATTLEBORO, VT — The third annual Tour de Heifer — a trio of scenic farm-to-farm rides — will again challenge dirt-road cyclists on Sunday, June 9. The Tour, organized by Strolling of the Heifers and taking place on Stroll Weekend, will include 15-mile, 30-mile and 60 mile options. The longer routes are designed for seasoned riders: there’s an elevation gain of nearly 4,200 feet on the 60-mile route, and 2,100 feet on the 30-miler. The 15-mile route is a challenging one for beginner riders, with nearly 1,400 feet of elevation gain. Beverage Service Trainings at the Marlboro College Graduate Center on Wednesday, March 13th and Thursday, March 14th. All employees who sell or serve liquor are required to be receive training every two years. Statistics show that employees who receive their required training directly from the DLC, rather than in-house, are less likely to fail a compliance check for selling tobacco or alcohol to minors. The training is free and no registration is required, however, late attendees will not be admitted. The Brattleboro Arts Committee will meet on Tuesday, March 12, 2013 at 4:00pm in the Hanna Cosman meeting room at the Municipal Center. The Brattleboro Tree Advisory Committee will meet on Tuesday, March 12, 2013 at 7:00pm in the Hanna Cosman meeting room at the Municipal Center. The Brattleboro Selectboard will hold a special meeting on Wednesday, March 13, 2013 at 5:30pm at Academy School on Western Avenue in West Brattleboro in the gymnasium. It is anticipated that the Board will enter into executive session at 5:30pm and reconvene the public meeting thereafter. The Selectboard completed this week’s business in near record time for a regular Tuesday evening meeting, ending the meeting just over an hour after it began. A streamlined FY14 Parking Budget was approved, despite a less than glowing characterization as “an absence of failure” by town staff. Curbside compost carts are being purchased, the library is getting a new videoconferencing system, and the Town is going to refinance the Honeywell Project to realize savings with new, lower interest rates. Pleas for fees for Sunday parking went unanswered, and the logic of sidewalk repairs was explained. Read on for all the Election eve Selectboard meeting excitement. The next “Brattleboro Citizens’ Breakfast” will take place on Friday, March 15, 2013 at the Gibson Aiken Center, downstairs, hosted by Senior Meals. Doors open at 7:30am. Tad Montgomery will present on the Home Energy Challenge. For those that don’t know: The state of Vermont has set a goal of using 90% renewable energy by 2050, and a big part of the plan to achieve this involves conservation. The Home Energy Challenge is a new initiative this year to get homeowners to undertake substantial energy retrofits and cut their heating bills by 20-50% or even more. In what some might term a win for the Old Guard, Kate O’Connor, John Allen, and David Schoales were elected to the Brattleboro Selectboard today. O’Connor easily defeated Spoon Agave for the 3 year seat by a vote of 985 to 664. Allen was the highest vote getter for the 1 year Selectboard seat with 710 votes. Schoales garnered 580 points, narrowly defeating Ian Kiehle who had 564. Kate O’Connor is daughter of former Selectperson Martha O’Connor who left the Selectboard in 2011. John Allen served with Martha O’Connor during his time on the Selectboard but lost to Daryl Pillsbury and Jesse Corum in 2010. The Brattleboro Agriculture Advisory Committee will meet on Wednesday, March 6, 2013 at 7:00pm in the Hanna Cosman meeting room at the Municipal Center. The Brattleboro ADA Advisory Committee will meet on Friday, March 8, 2013 at 10:00am at the Marlboro College Graduate Center in the VCIL conference room. The Brattleboro Energy Committee will meet on Monday, March 4, 2013 at 5:00pm in the Hanna Cosman meeting room at the Municipal Center. The Selectboard will be given a recommendation for hiring a Police-Fire Project Manager at their next regular Tuesday evening meeting. They will also select a project manager for the downtown sidewalk repair project. There will be discussion of the FY14 Parking Budget, consideration of a videoconferencing system for the library, the purchase compost carts for the new composting pickup program, Honeywell lease financing and more. Catch it all on TV or in person at the Municipal Center on Main Street. You can bring up other issues not on the agenda during Public Participation, too. The Brattleboro Citizen Police Communications Committee (CPCC) will meet on Monday, February 25, 2013 at 5:30pm in the Brooks Memorial Library community room. The Brattleboro Traffic Safety Committee will meet on Tuesday, February 26, 2013 at 8:30am in the Selectboard meeting room at the Municipal Center. The Brattleboro Representative Town Meeting Finance Committee will meet on Tuesday, February 26, 2013 at 4:30pm in the Selectboard meeting room at the Municipal Center. The Brattleboro Energy Committee will hold a special meeting on Wednesday, February 27, 2013 at 7:00pm at Marlboro College Graduate Center in Room 2NE. The Town Meeting Members and public are invited to attend and discuss PACE (Property Assessed Clean Energy). The Town invites downtown business/property owners, residents and the public to attend a public discussion on Wednesday, February 27, 2013 at 6:15pm in the Selectboard meeting room at the Municipal Center to discuss the upgrade of sidewalks on the east side of Main Street.